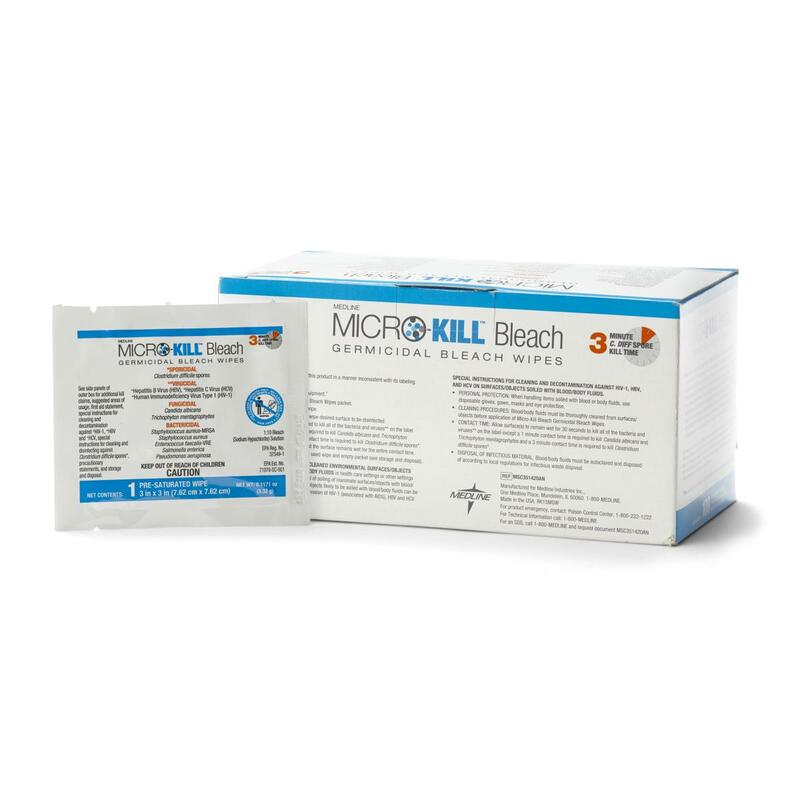 The Micro-Kill Bleach Germicidal Bleach Wipes label is in the process of being revised in light of the new EPA approved labeling for the product. This product may not be available in all 50 states with the new labeling yet. Once the labels are approved by state regulatory departments, they will begin to replace the previous labeling throughout the United States. 1. Interpretive Guidelines for Long Term Care Facilities, Tag F441, Department of Health & Human Services (DHHS) Centers of Medicare and Medicaid Services (CMS) http://www.cms.gov/Regulations-and Guidance/Guidance/Transmittals/Downloads/R51SOM A.PD2. Guidelines for Environmental Infection Control in Health-Care Facilities,CDC, 2003.www.cdc.gov/hicpac/pdf/guidelines/eic_in_HCF_ 03.pdf3. Guideline for Disinfection and Sterilization in Healthcare Facilities, CDC, 2008 http://www.cdc.gov/hicpac/Disinfection_Sterilization/3 _2contam inatedDevices.html4. Guide to the Elimination of Clostridium difficile in Healthcare Settings, APIC, 2008.